There is no doubt that when a new DROID is launching on Verizon, the nation’s largest carrier makes darn sure that everyone is aware. 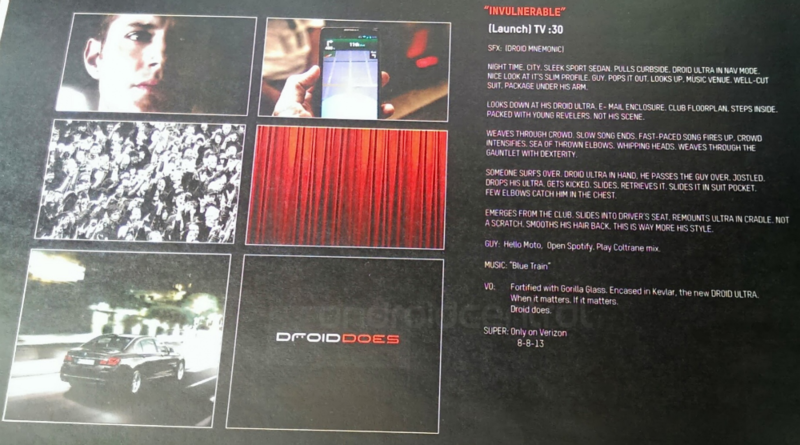 The upcoming DROID ULTRA and DROID MAXX are clearly not going to be an exception, as leaked commercial storyboards have since been found posted on the web. 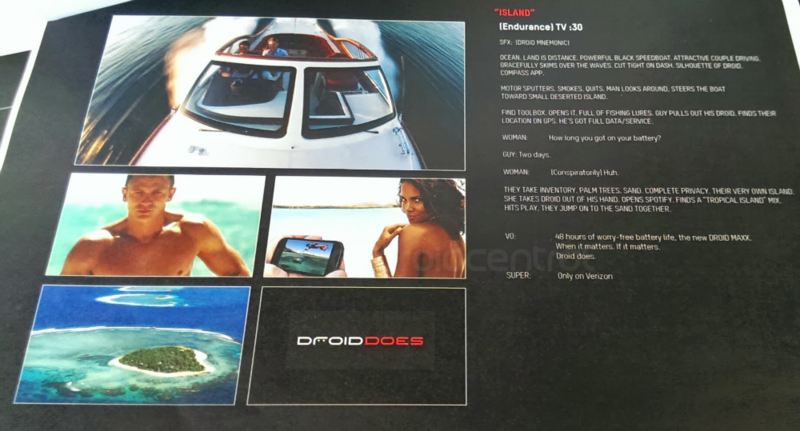 Filled with speed boats and tropical islands, each commercial highlights a specific feature of their respective devices, two of which should have battery life advocates very happy. During the DROID MAXX commercial, it states that the device has “48 hours of worry-free battery life.” Yep, two full days. Verizon’s previous battery champ, the RAZR MAXX HD, sported 32 hours of talk time battery life, so it’s clear that Moto was able to fit one beast of a power source in there. Up next is the ULTRA. In this storyboard, Verizon highlights voice actions found on the device, showcasing a man telling his phone, “Hello Moto, Open Spotify. Play Coltrane Mix.” Then, Blue Train begins playing. What makes the ULTRA ad stand apart is that there is specific date posted on this one, 8-8-13 (August 8, 2013). It’s not an official date from Verizon, but it could be a safe bet to at least pencil in the date if you were hoping to pick it up. Which one are you leaning more towards?